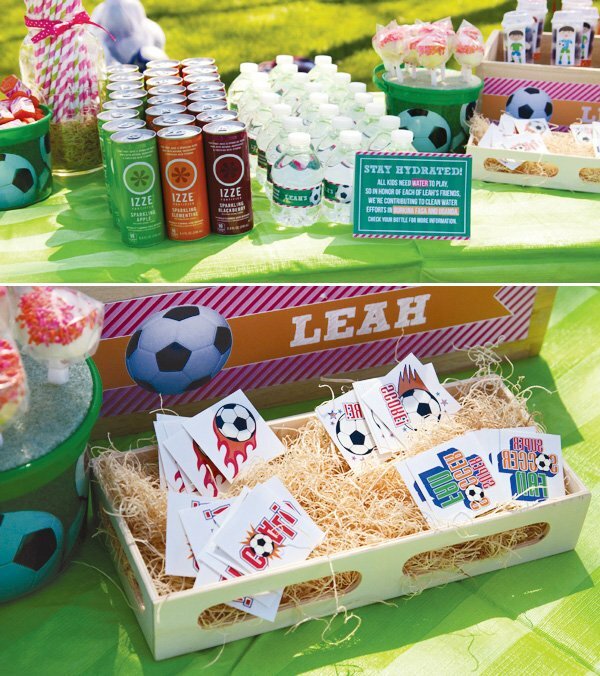 Jen St. Clair of Little Sprout Creations whipped up this adorable Pink & Orange Girls Soccer Party for her daughter Leah. As always, Jen’s fabulous graphic design skills really shine throughout all of the details. 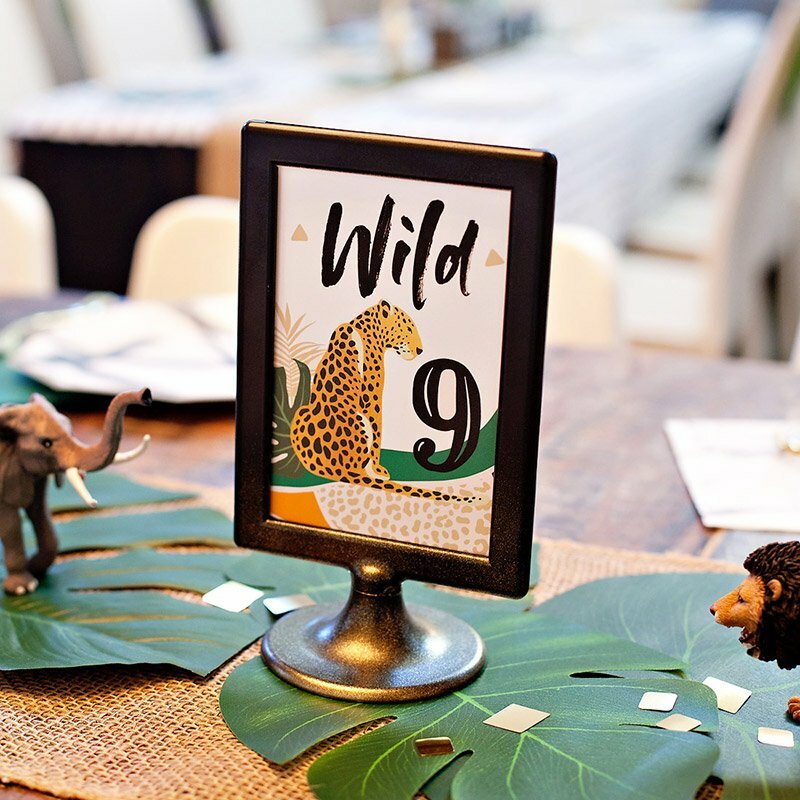 Her parties always look so effortless, creative and fun… and with a day full of soccer games, themed temporary tattoos, birthday push cakes, the requisite orange slices & more, this one is no exception! 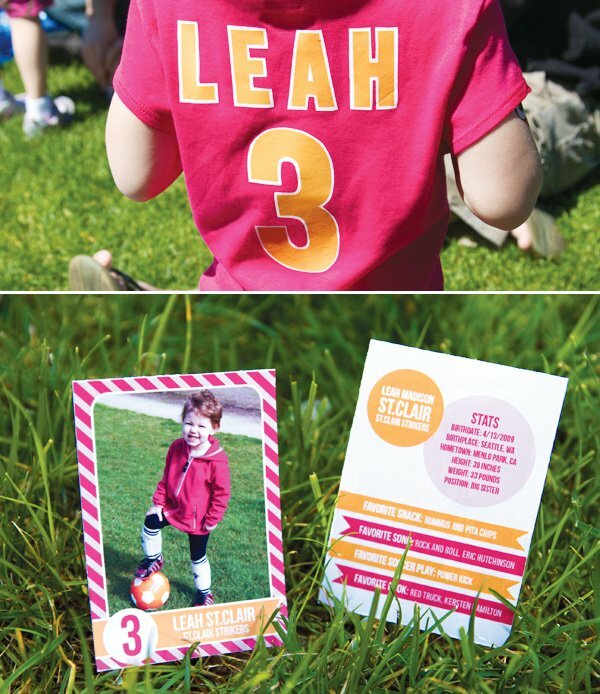 A “trading card” of the Birthday Girl & Soccer Star herself! 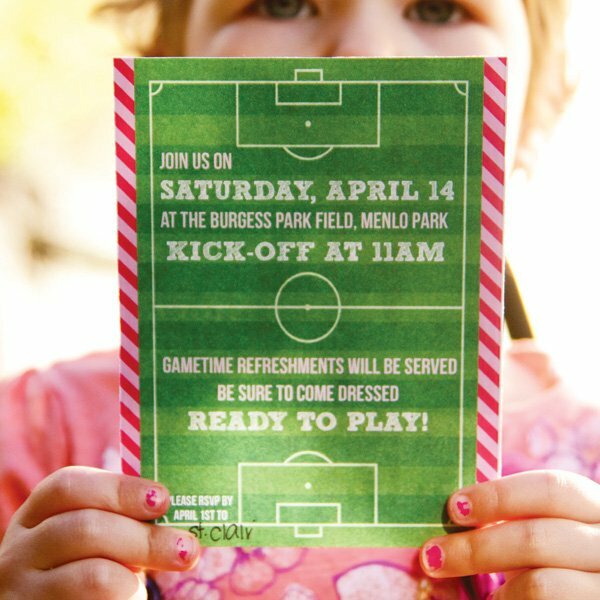 My daughter Leah started playing soccer this year, and one day out on the field, we realized it would be a really great place for her third birthday party! 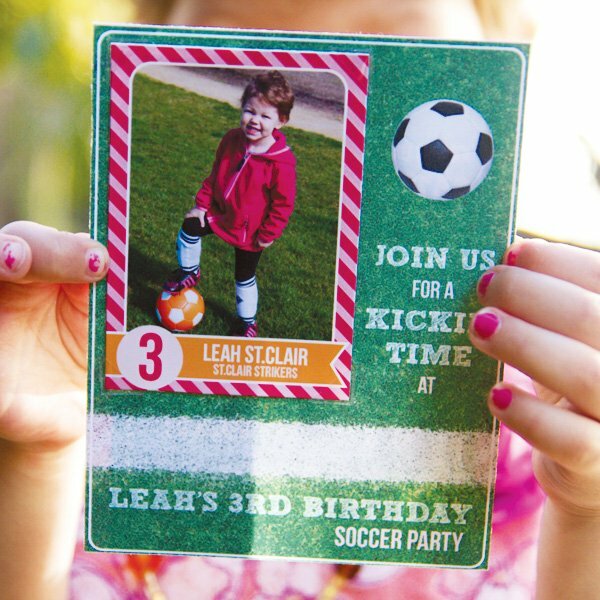 To invite her friends, we designed a soccer field invitation with a removable, collectable trading card of our birthday star soccer player. 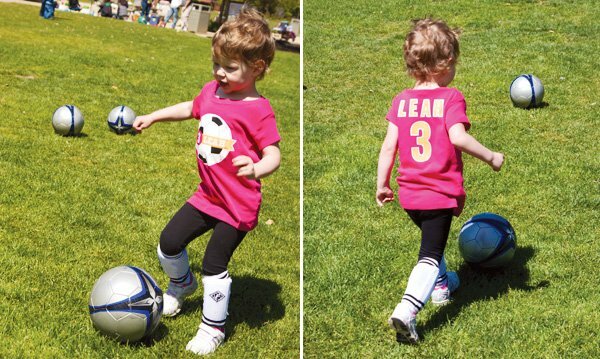 The front features a sweet picture of her in official “soccer stance” and the back includes some fun stats like her favorite snack and favorite song. 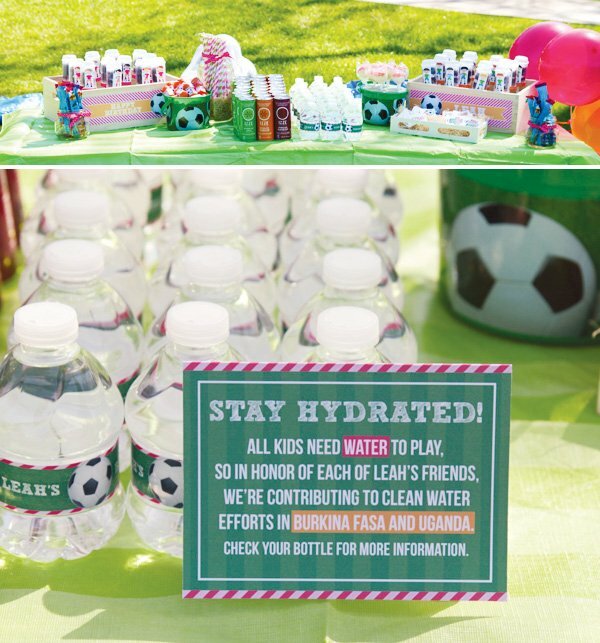 On her party day, we filled the field with kid-sized soccer goals and soccer balls. 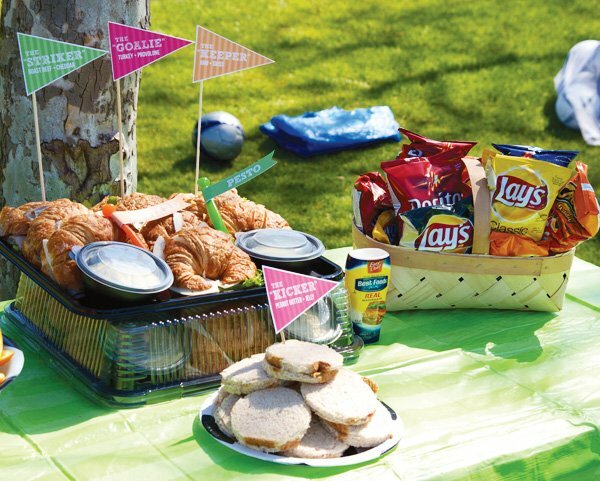 Her guests were treated to sandwiches, chips, and the essential soccer game snack – orange slices! 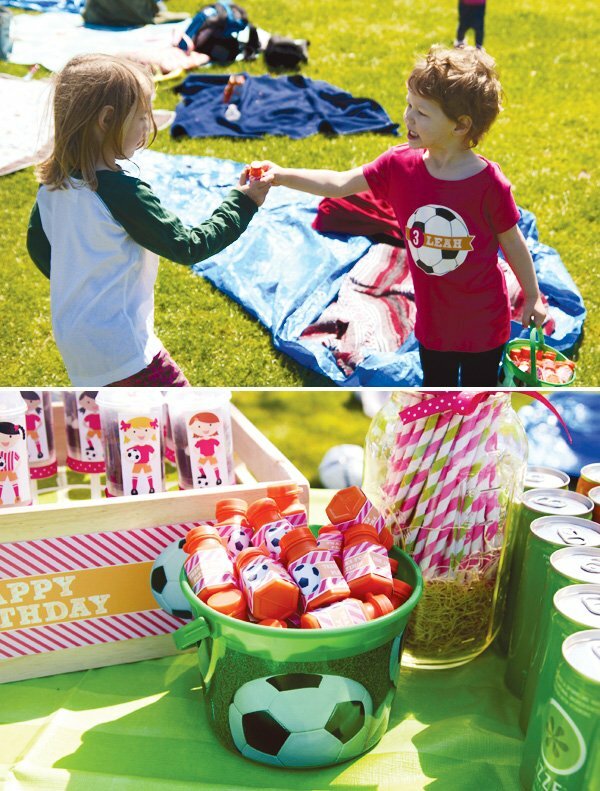 They sipped Izze juice (in matching pink, orange and green colors) with coordinating striped straws. 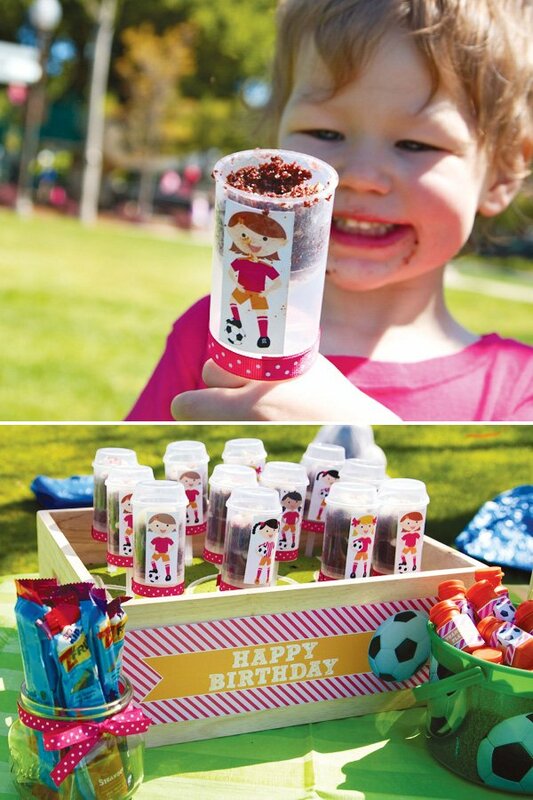 For dessert, we served cake pops and cake push-up pops, dressed up as girl and boy soccer players on a mini soccer field. 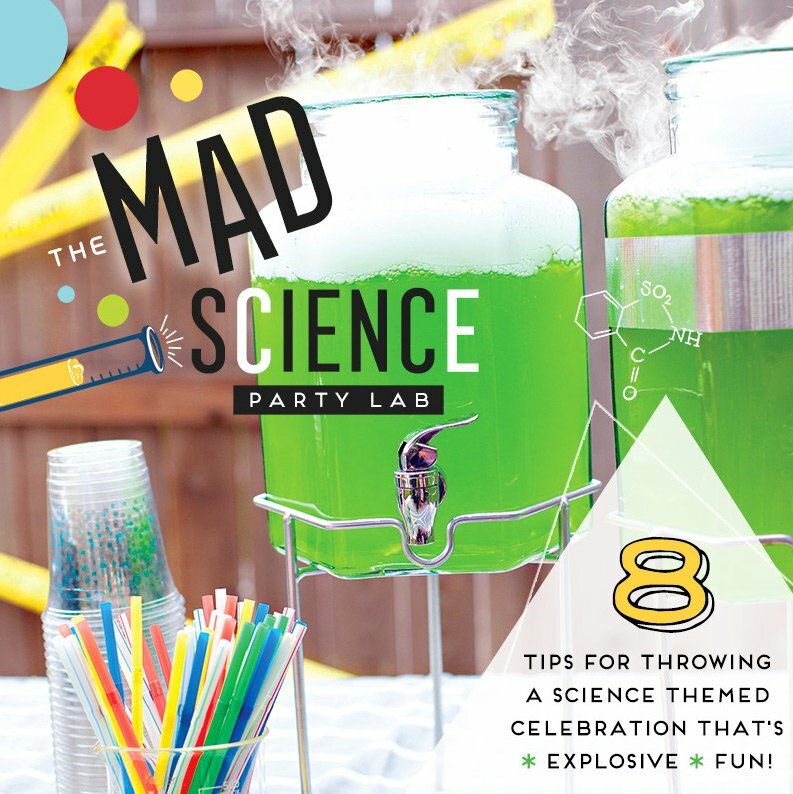 This was easily my favorite part of the party to create AND enjoy! To thank her friends for celebrating with her, Leah handed out bubbles (with custom birthday “thank you” stickers attached) to her friends. 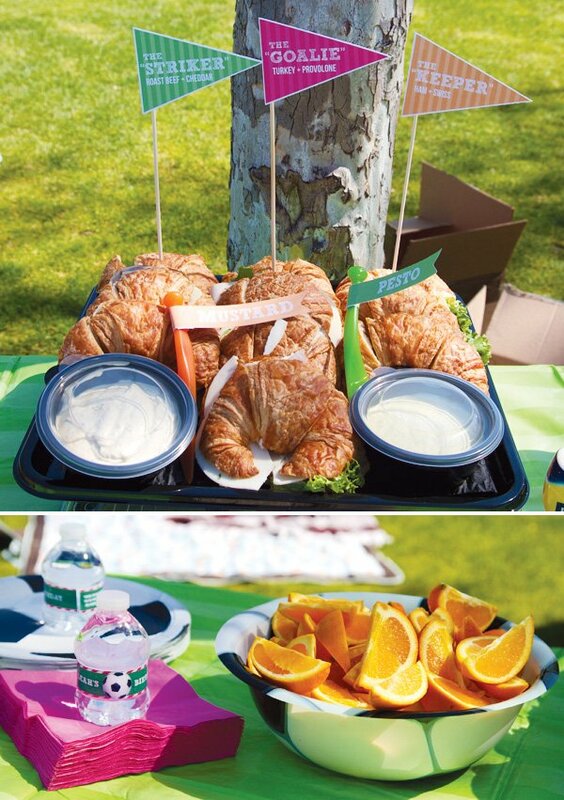 She loved getting to hand them out, and it was a great way to teach her about being a great hostess and greeting and thanking each of her little guests. We also had temporary tattoos for each guest and helped apply them during the party – another great way to spend a bit of extra time and love on every child. As a family, we know that not all kids have an opportunity to have birthday parties like Leah did, and some don’t even have clean water to drink on their birthdays. To help those kids, we donated funds (in honor of each of Leah’s friends) to contribute to clean water efforts in Burkina Fasa and Uganda. We love the Living Water International ministry, and it was so fun to read together about each of the countries they help, and have Leah pick which places she wanted us to contribute to. Love the trading card idea! Could work as a kid “calling card” too! 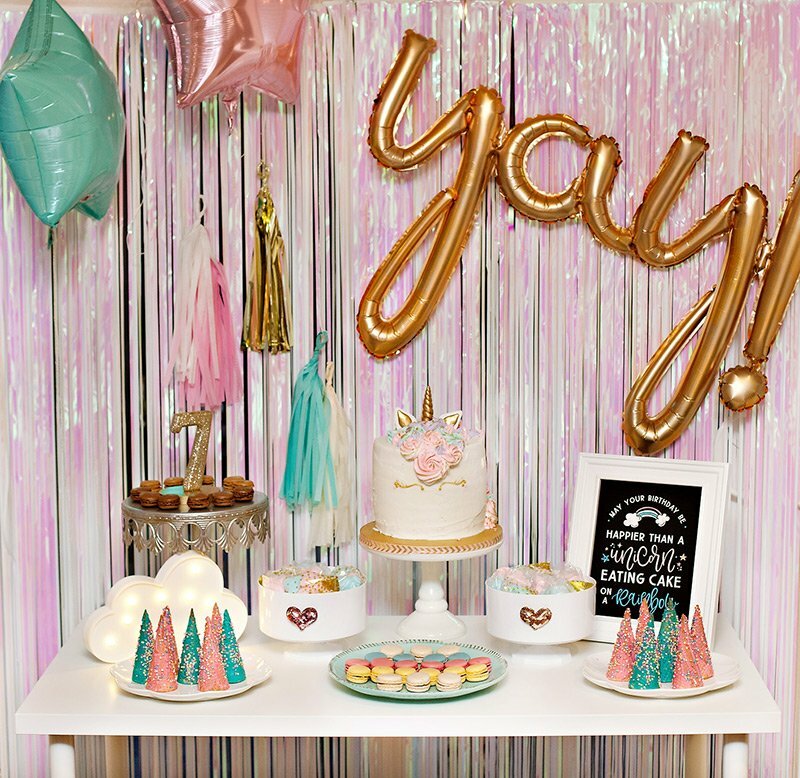 this is a great blog, so many cute ideas! So cute! 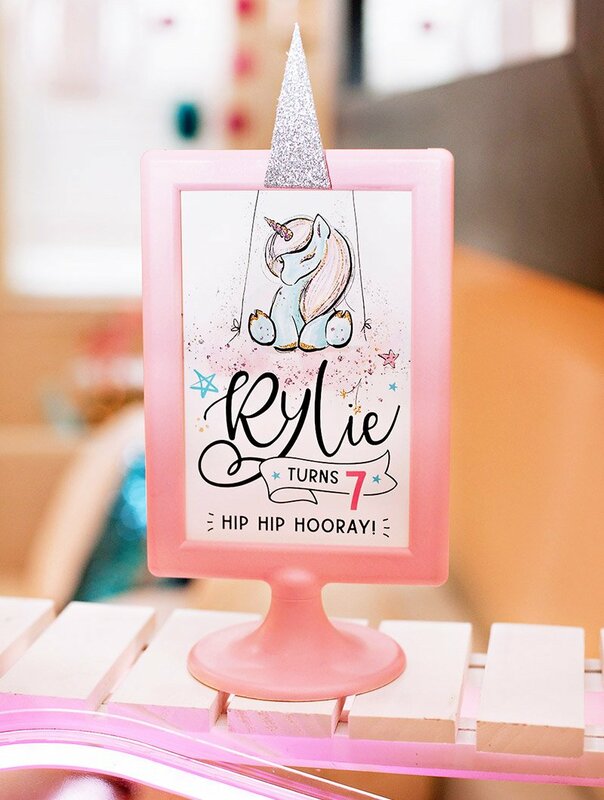 My daughter is turning 8 and I’d love some of these labels! Where can I get them? I LOVE the idea to inform people about water in other parts of the world. Thanks for any information!